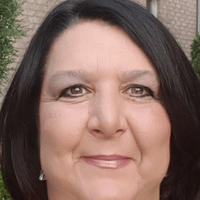 Global Director of Quality – Hatch Ltd.
Nancy has over 20+ years of experience working in an engineering consulting environment providing QA Management within the Nuclear Industry. She has been appointed various roles throughout her career related to quality with her most senior roles which includes Vice-President of Quality Management Systems and Global Director of Quality Assurance. She is well versed in various quality assurance codes and standards including NQA-1, NCA-4000, N286, N285, N299, ASME and ISO9001, and is a qualified Nuclear Lead Auditor. Nancy is an active member of the Canadian Standards Association and is an active member of the CSA/N299 technical committee. Also, she is the Chairperson of the newly developed CANDU Industry Assessment Committee (CANIAC) governed by COG, which is the auditing body for Suppliers to the nuclear industry.